What does documentation mean to me? Well, to me, it is recording students knowledge in a variety of ways to see what they can do and what they know. So, basically, it is about collecting different types of data to ultimately see what students know. After reading Rinaldi(2004) ,and reflecting on my own experiences with documentation, I feel like I have a much deeper understanding of it. Many aspects of documentation described by Rinaldi were attractive to me. Some of her ideas I have actually have attempted to do in my own classroom (so it was nice to know I am not completely off in terms of documentation). always easy as teachers. We have tight timelines and certain outcomes that need to be covered within a year. However, giving students that extra time to explore can have huge benefits as it is another way that students can truly share their knowledge. This ties into the next aspect of Rinaldi’s idea of documentation I liked. The idea that the actually process of student learning is much more valuable than the final outcome or the final assessment. Rinaldi (2004), states that “from your documentation, the children can understand not only their processes but what you value as meaningful for their learning processes” (p.4). In my own classroom, I do my best to document their process of learning. For example, when working in small groups in both literacy and numeracy, I write notes about each student in a notebook every time I work with them. Once I get to report card time, I gather all my documentation and notes on the student to help decide on a final mark. Again, these were some of the main elements I picked out during the reading. Similar to Rinaldi, one aspect of pedagogical documentation I really like is that it is the process of learning that means the most rather than the end result. “Pedagogical documentation’ as content is material which records what the children are saying and doing, the work of the children and how the pedagogical relates to the children and their work” (Dahlberg et al., p.144). I also like the fact they outline the importance of using a variety of methods to collected documentation. Audio recordings, collecting photos, handwritten notes are examples they gave. One thing I took away from this chapter is the differences between pedagogical documentation and simply child observations. I appreciated that they included the section Why Pedagogical Documentation is NOT just Observing in this article. I had not realized what the true difference was before and now understand that pedagogical documentation is a lot deeper than just the act of observation. “Dahlberg et al, (2007) state that, “It should not be confused with child observation. As we understand it, the purpose of child observation is to access children’s psychological development in relation to already predetermined categories produces from developmental psychology and which define the normal child should be doing at a certain age” (p.143). I feel as if those who disagree with this idea of assessment , have the notion that pedagogical documentation is simply just observing a child. Therefore, they would not think it’s a valuable form of assessment. Overall, reflecting and engaging in these two readings was very informative for me. Reminding myself that it’s the process of learning that is most important for students was most valuable for me. 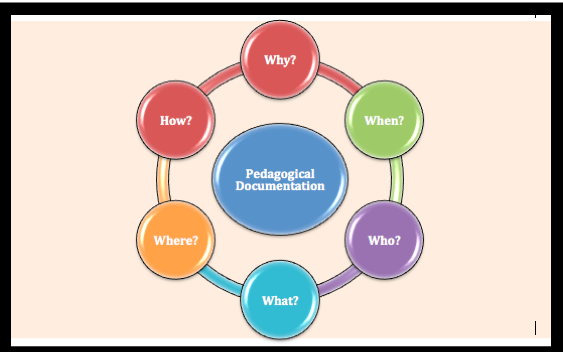 As well, understanding what pedagogical documentation is made my understanding of documentation much deeper. Dahlberg, G., P. Moss and A. Pence (2013). Beyond Quality in Early Childhood Education and Care: Languages of Evaluation, 3rd ed., New York: Routledge. Read chapter 8, Pedagogical documentation: A practice for reflection and democracy. Available as an eBook through the URegina library. Rinaldi, C. (1994). 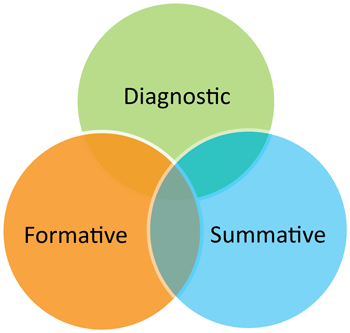 Documentation and assessment: What is the relationship? Linked on UR Courses.